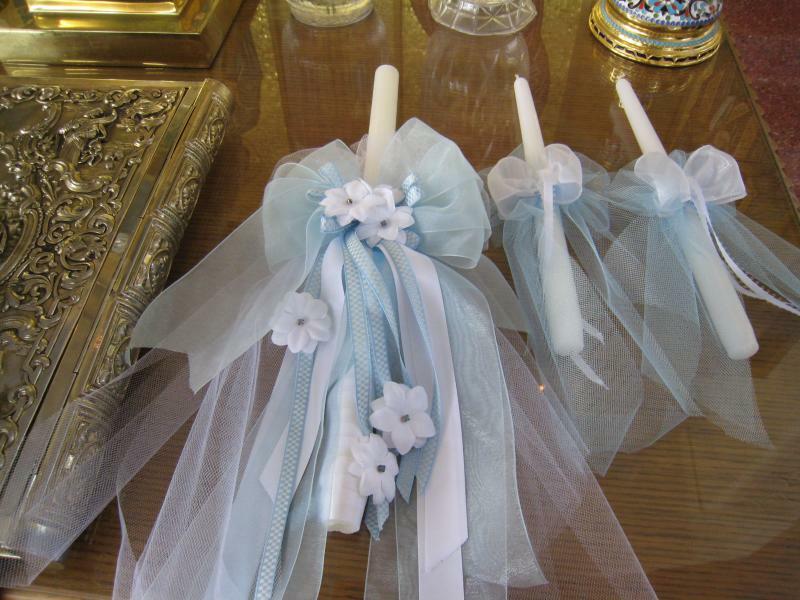 Baptismal candles by Originals by Stephanie feature designs inspired by the purity and innocence of the newly baptized child! 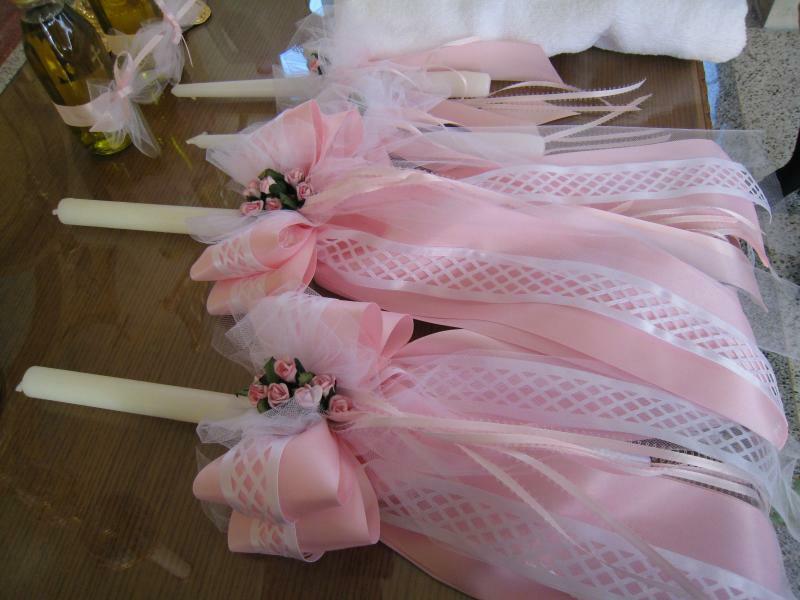 All candles, favors (boubounieres), and martirika (witness cards and ribbons) may be ordered with accents of white, pink, or blue. 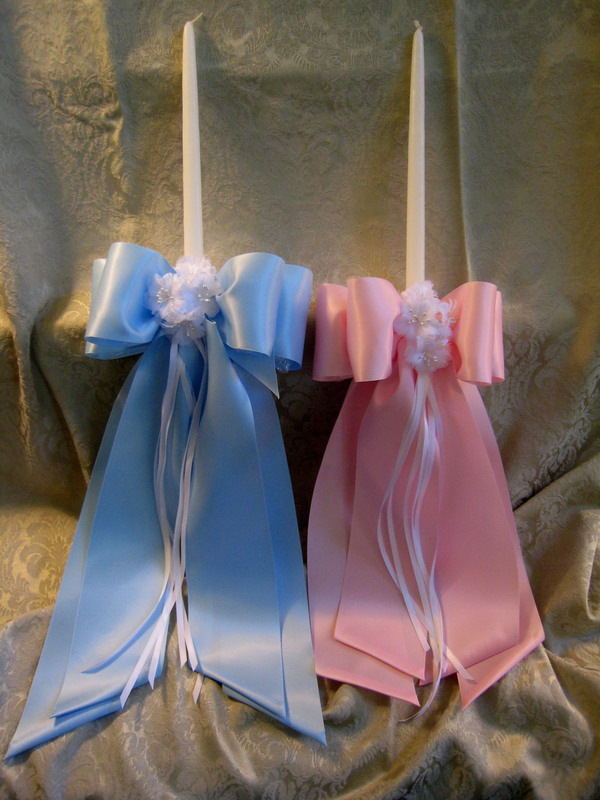 These 24" baptismal candles feature wide double satin bow. 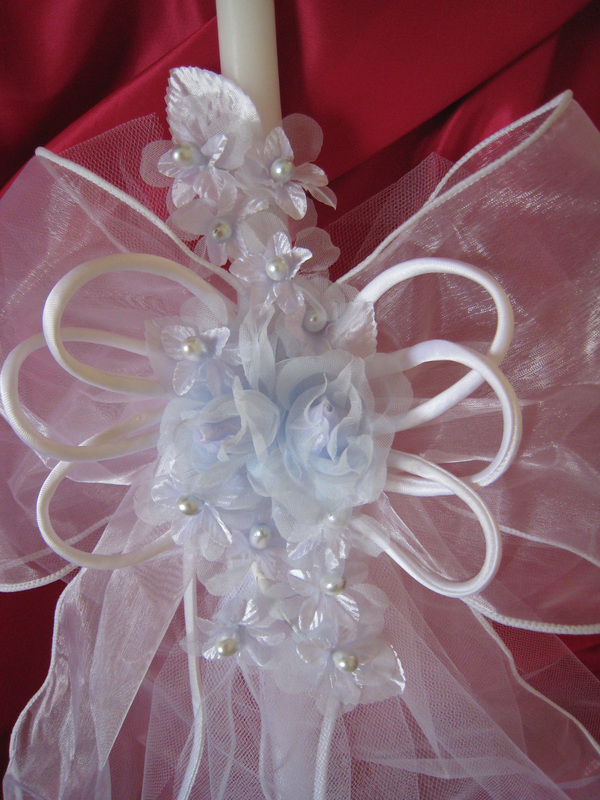 Small white flowers nestle in the center of the bow and white accents are repeated in the narrow satin streamers. #C-52: $89 In an 18 inch candle, C-52a, $69. 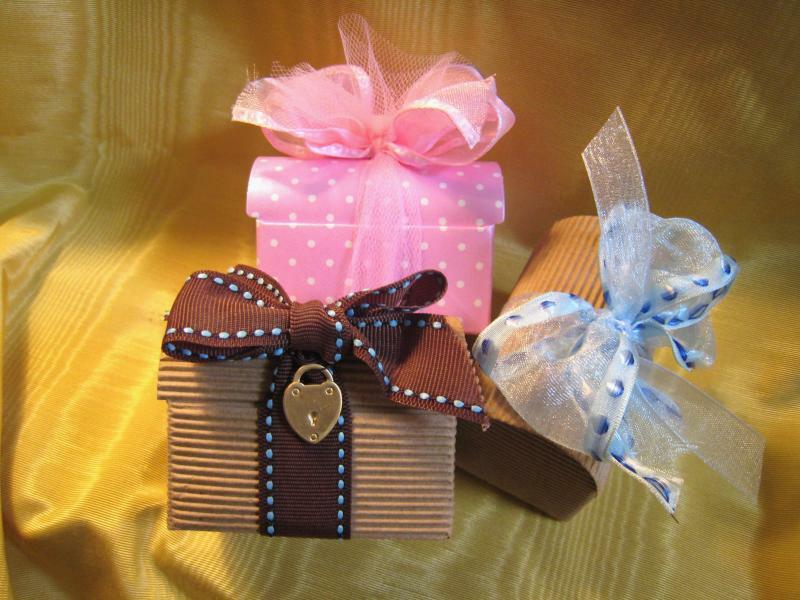 An exceptional ribbon for a special little girl! 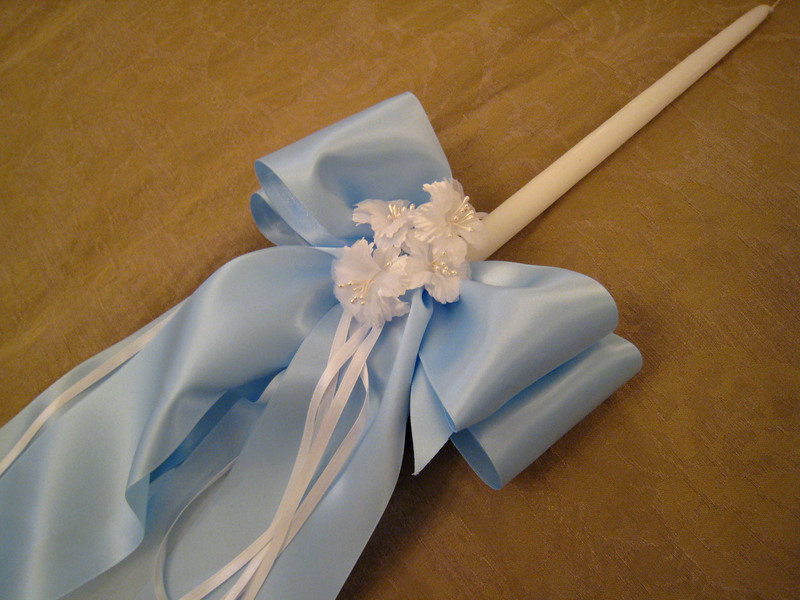 #C-64: $69 for 18 inch candle. 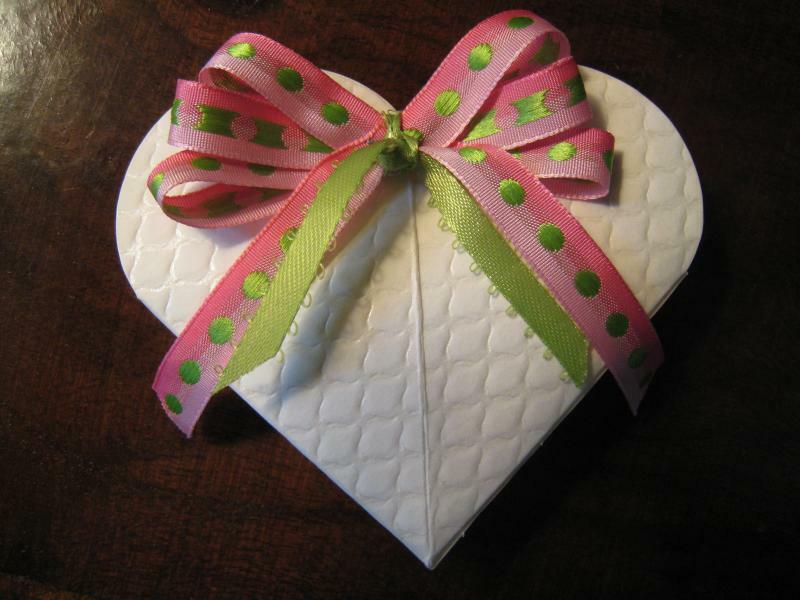 If you have questions or would like to place an order, please click here... to contact us. 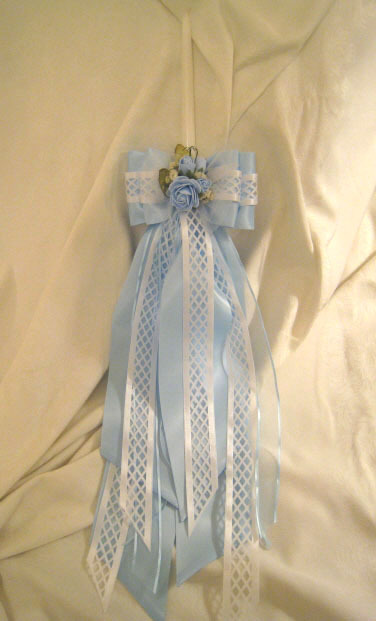 Pink or blue satin ribbons with white lattice overlay. 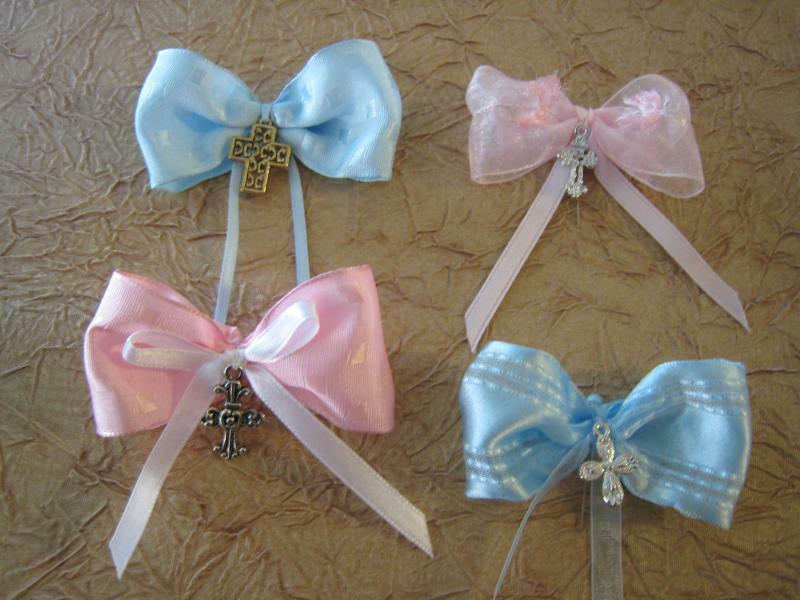 #C-62p in pink; #C-62b in blue (see below). $69 for 18 inch; $89 for 24 inch candle. #C-62b: $69 for 18 inch; $89 for 24 inch. 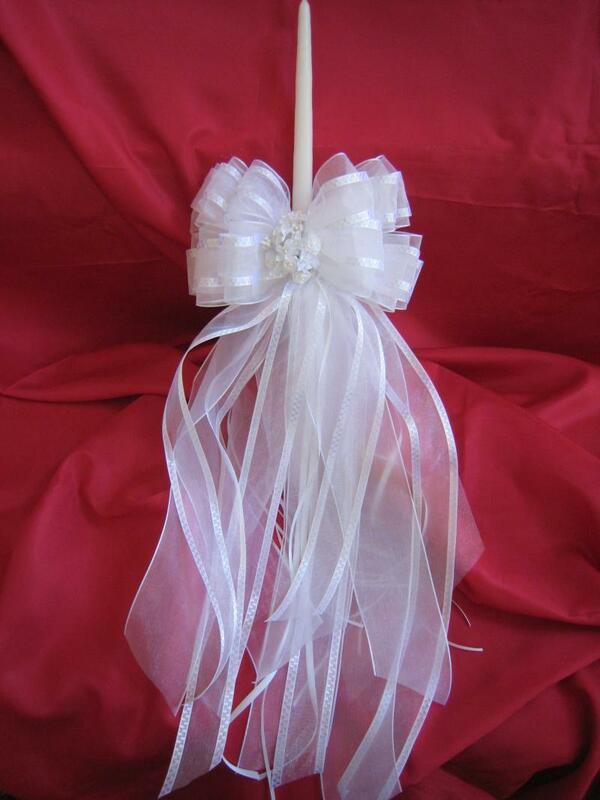 All Baptismal candles have white ribbon wrapped around the bottom of the candle, to keep hands sticky free! 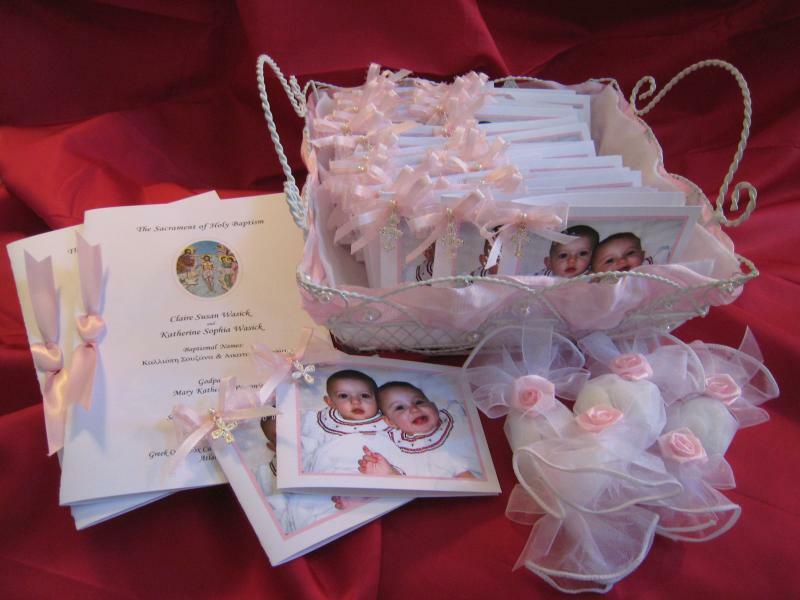 Prices for Baptismal candles depend on size: all 18-inch candles are $69 and all 24-inch candles are $89. 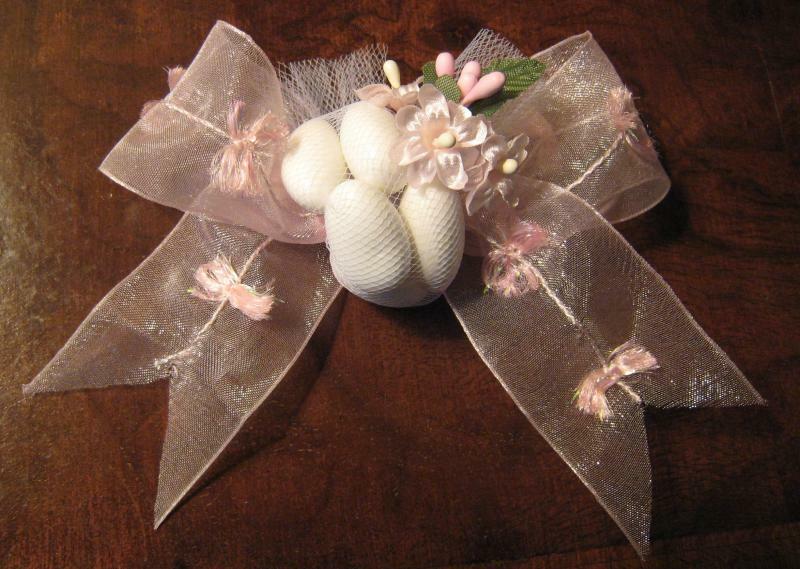 If small 12" candles are needed for children or others who will be participating in the service, these may be ordered, with a simple flower and bow, for $4 per candle. Very young children are encouraged to hold favorite icons rather than candles.